Yes, it's been a longer-than-anticipated break! 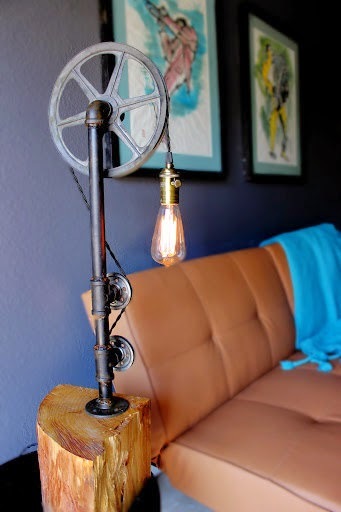 But in past months we have been hard at work designing and building new lighting and creating some amazing new spaces in which to showcase those incredible pieces. close up of this striking piece! Just a peek at what we've been up to, and lots more to come! 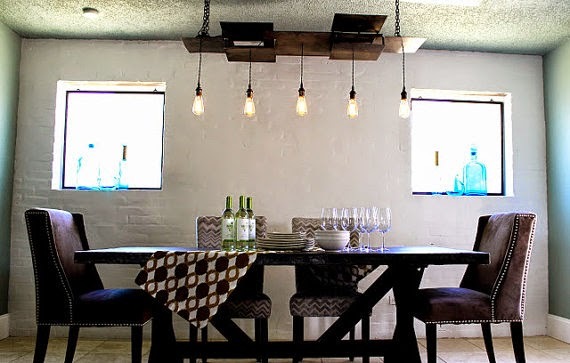 Visit our Etsy.com shop and search parisenvy to view all lighting and order your own custom creation. 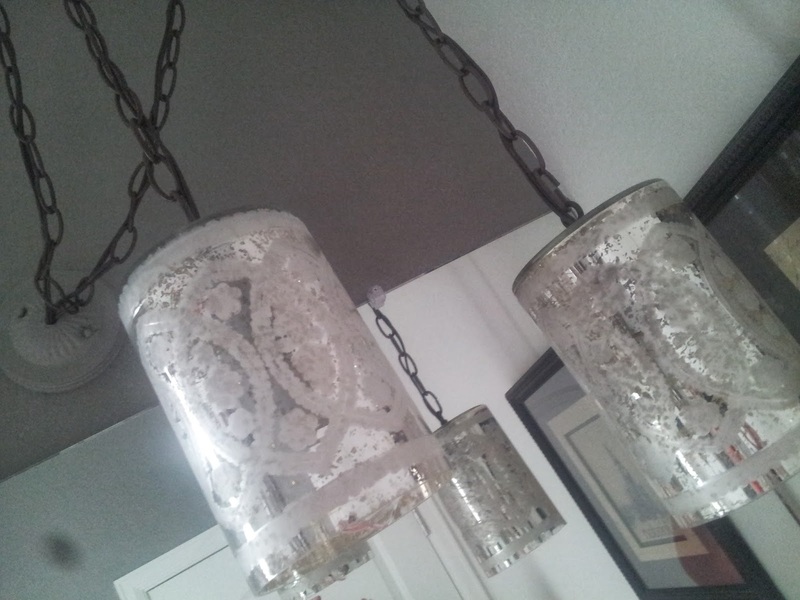 Shown above; mercury glass vases converted into pendants in a guest bathroom. Pretty on or off! 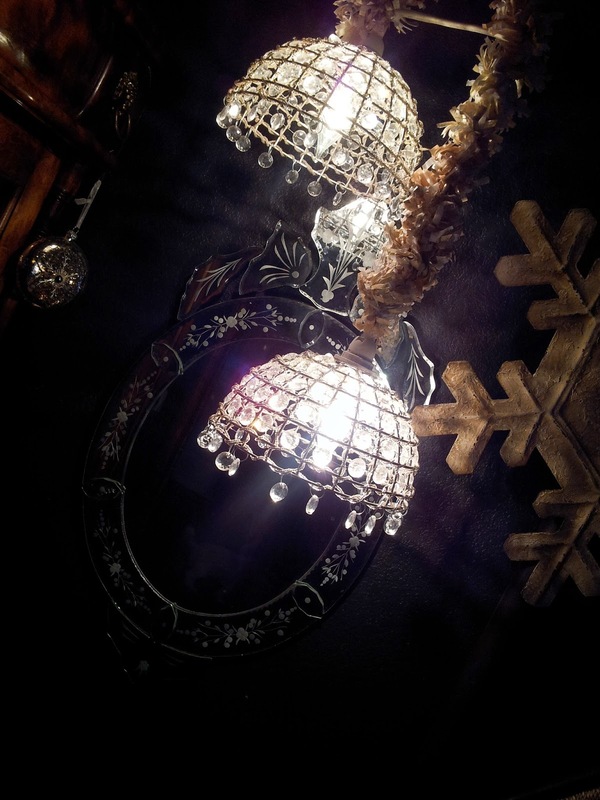 To change up the traditional bedside lighting, my mom used a vintage chandelier and crystal pendants over the nightstands. A switch on the cord makes them every bit as convenient as a lamp. 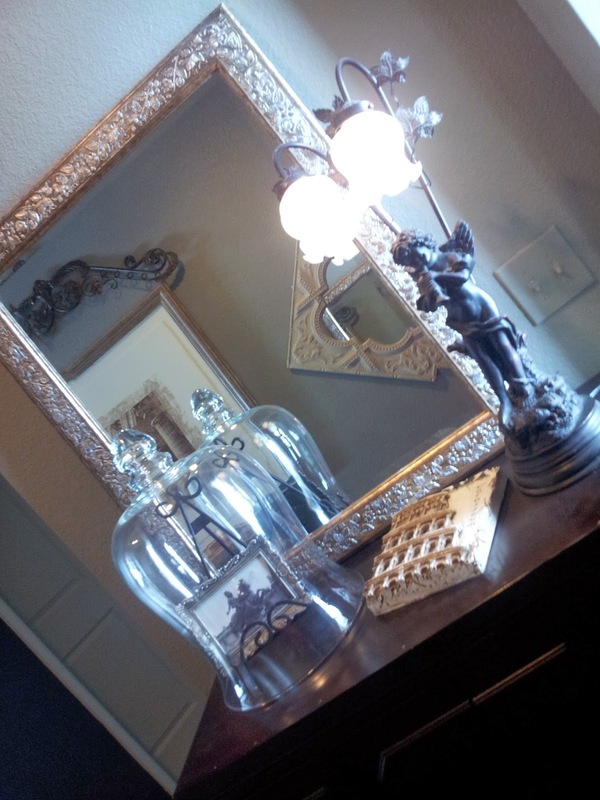 An antique dresser provides the perfect display space for a few favorite pieces. Drawers hold gloves and other cold weather necessities. 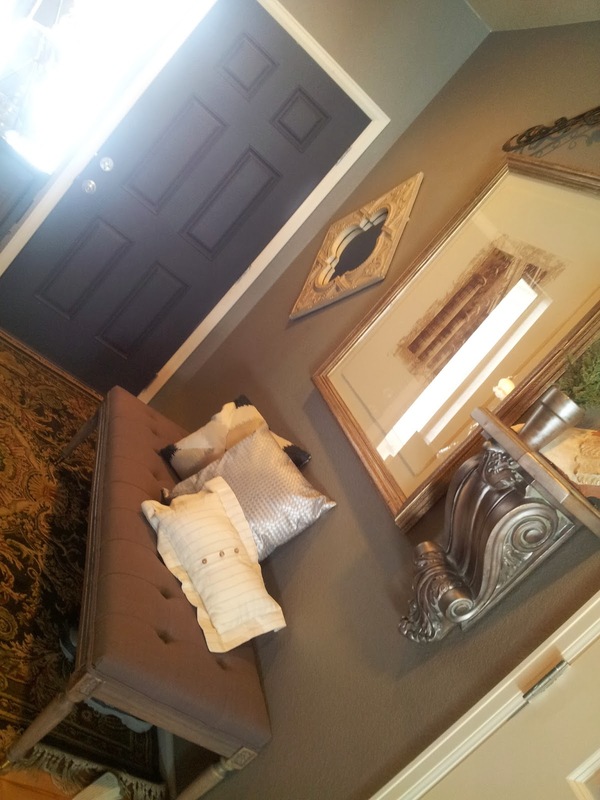 The taupe/grey tufted bench and clever collection of art and mirrors on the wall make for an inviting entryway. 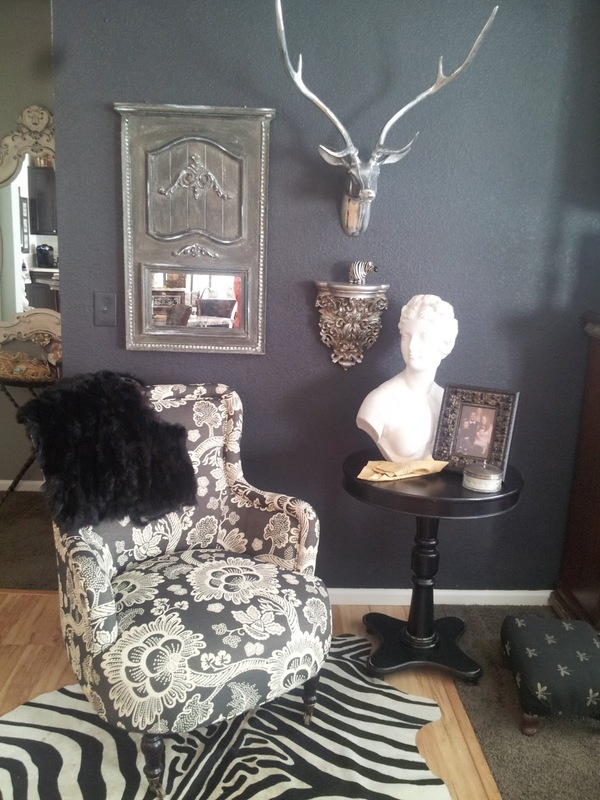 I love the bold choices my mom made in mixing patterns and textures. 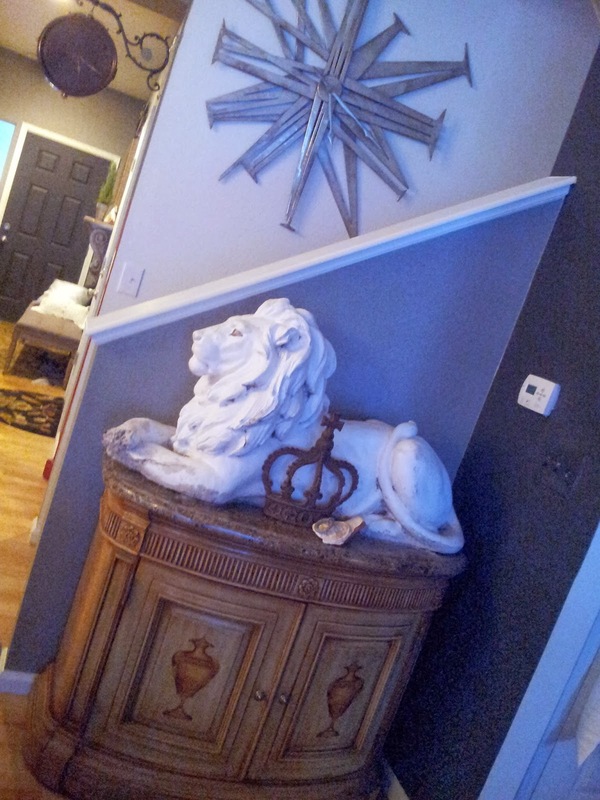 She has passed on a good bit of courage to me in my decorating projects. I hope the photos spark inspiration in even a small way! 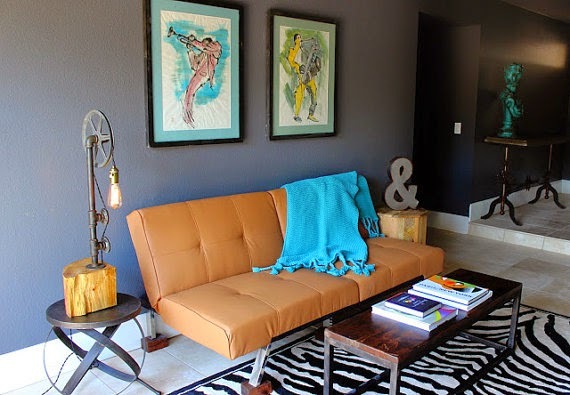 Next time I'd love to share a few more design details that can totally transform a space. I wanted to send out a few thoughts as we close our storefront and transition to an online presence. My vision was to create a place that embodied the things I loved about visiting Paris: the quaint and quirky shops in the Marais, the mingling of different styles -- vintage and new, and just the magical FEEL of the whole city. 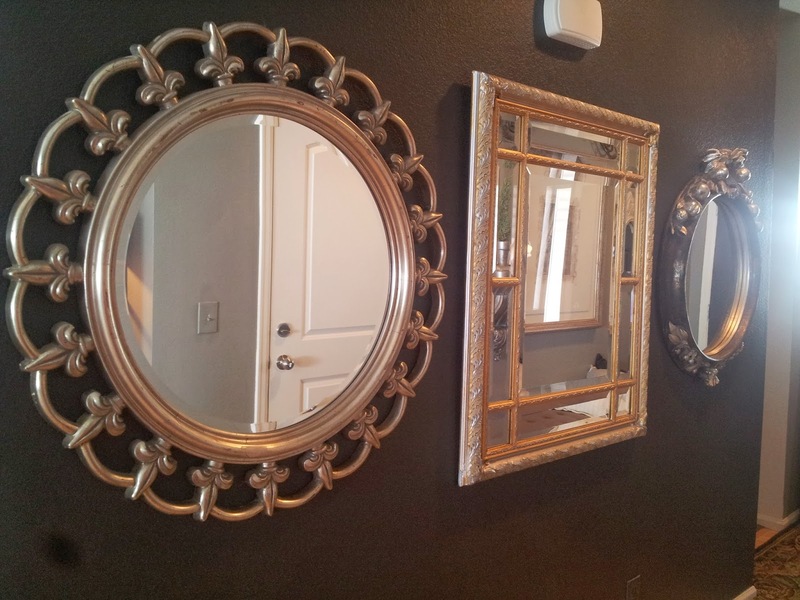 Some of the best compliments I ever received were from people who said, "I feel like I just stepped into a shop on the Left Bank!" We were in our 7th Avenue home for six years, and in that time we tried different things -- offering clothing, adding handcrafted lighting and furnishings alongside our vintage finds -- and truly it was all fun, and all successful in the ways that mattered most to me; namely that our customers enjoyed spending time with us, were excited to see what we would do next, and kept coming back! Retail, as many of you know, is a tricky thing. Often you find that you do well enough to keep the lights on and the shelves full but maybe not much else. As time passed we realized we needed to re-evaluate our focus. Filling 2000 square feet was a tall order, and my co-owner Jason had his hands pretty full working his "day job" as an engineer. We decided to make the move to Union at Biltmore Fashion Park -- a new concept with a group of small local businesses under one roof -- last November. As our one year lease comes to an end, we are again making a change. I will miss having a "brick and mortar" shop. And I may miss it so much that we resurrect it at some point! 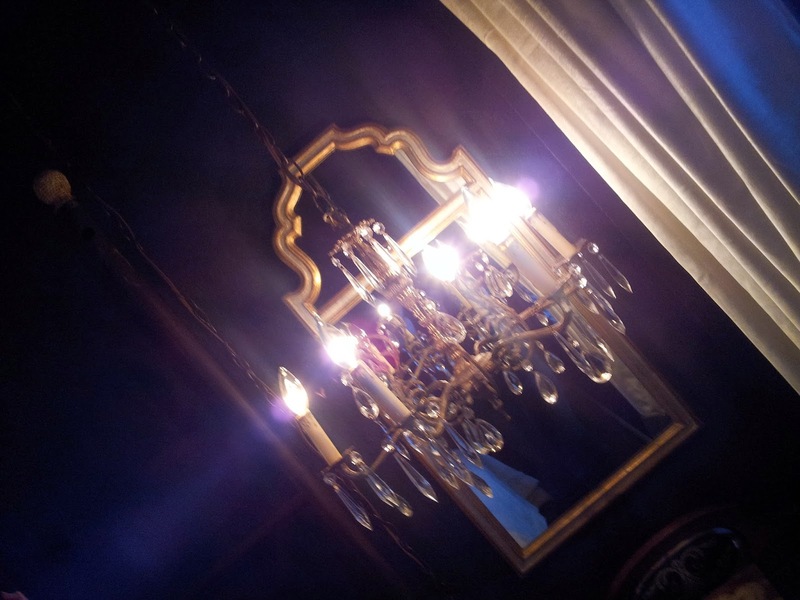 But for now our lighting is our main attraction, and as such it deserves our full attention. 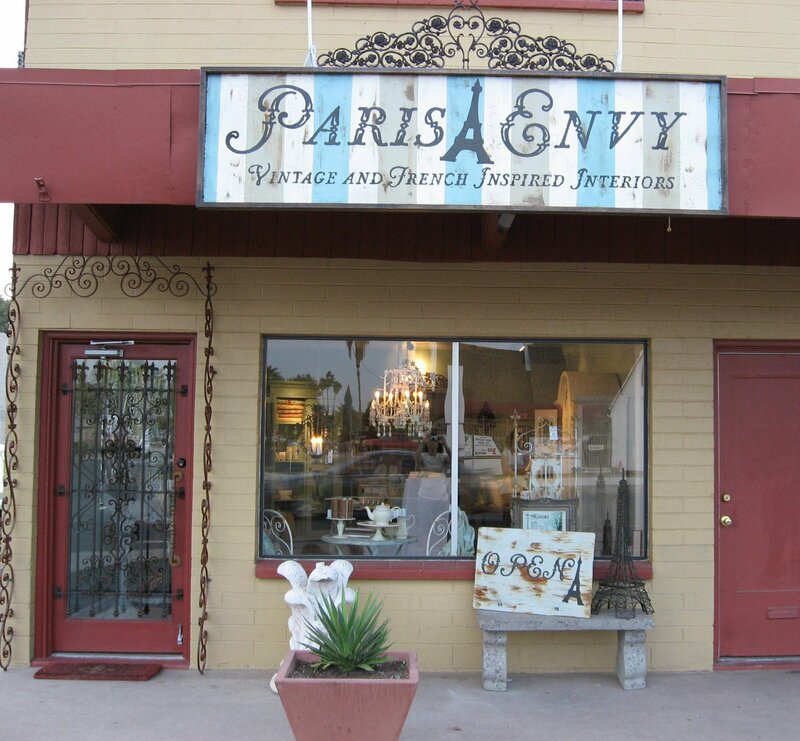 I hope you all will continue to follow us on our Etsy.com store (search parisenvy) as well as here on our blog, which I promise to update on a much more regular basis! 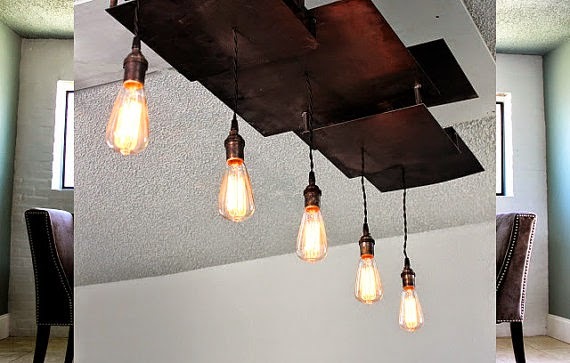 I will be styling rooms featuring our lighting as well as new design ideas for the home. I may even do occasional travel-related posts. Thank you all so very much for your support and patronage over these past seven years. Happy New Year and here's to creating our dreams, whatever shape they may take! 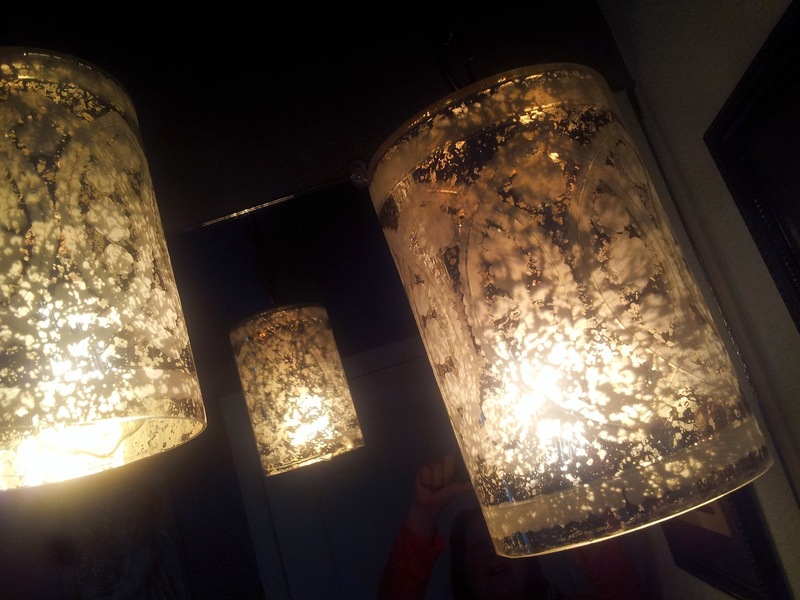 Paris Envy hand crafted and custom lighting now on ETSY! Bake up a storm with these great pieces? 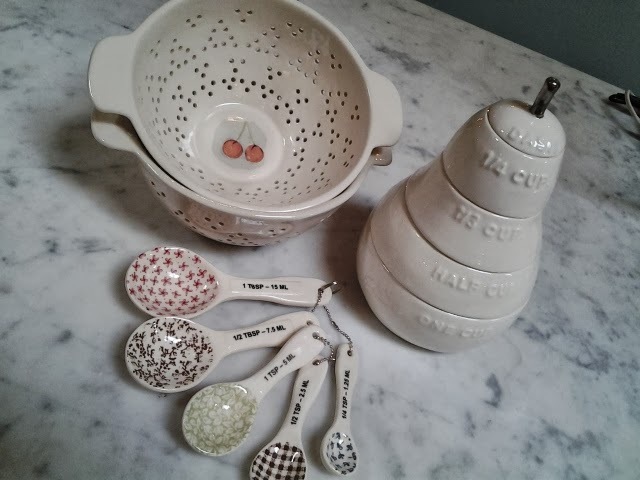 Crafted from cream porcelain with just enough whimsy to add to the fun; pear shaped measuring cups, patterned measuring spoons, mini colanders perfect for holding freshly washed summer cherries, and more! 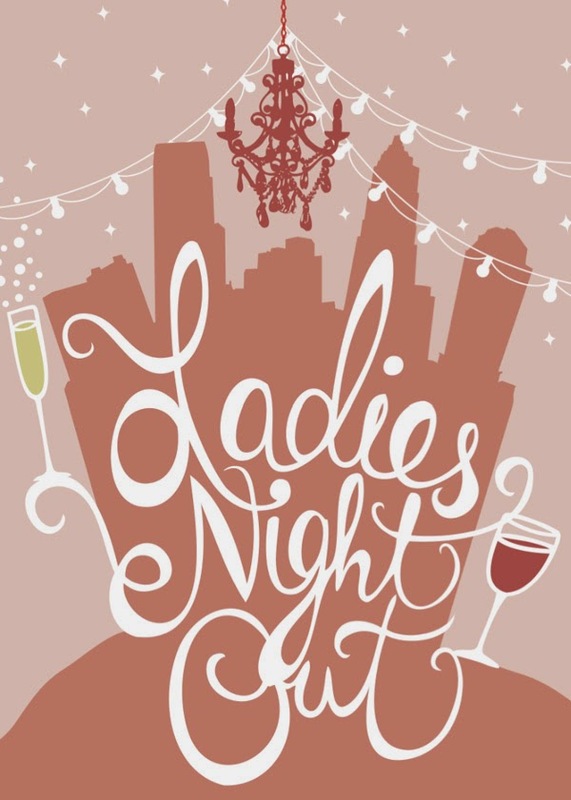 Join us for our ever-popular Ladies Night event at Union this Thursday, August 8th from 6:00 to 8:00 p.m. and enjoy specials, giveaways and prizes with all our Union neighbors! We also have lots of great new merchandise to tempt you! See you soon! !